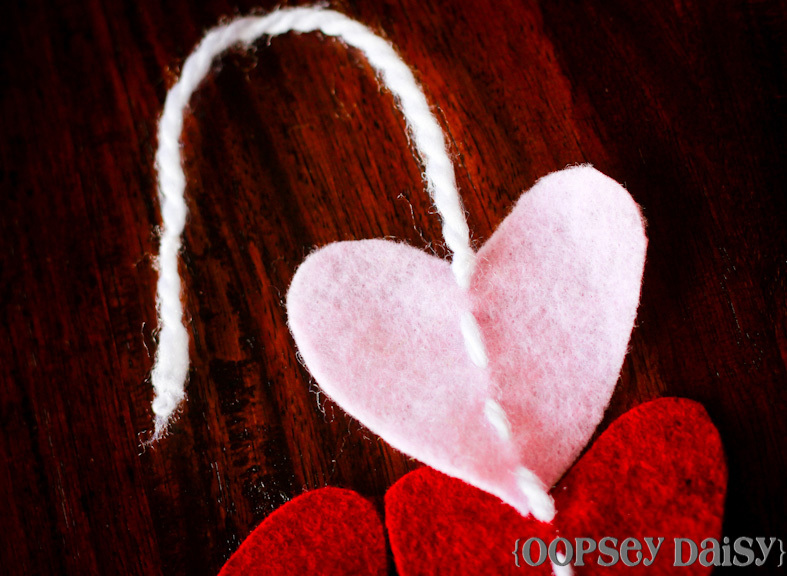 Oopsey Daisy is an absolutely adorable blog that helps us stay on track with our Valentine's Day themed crafts. 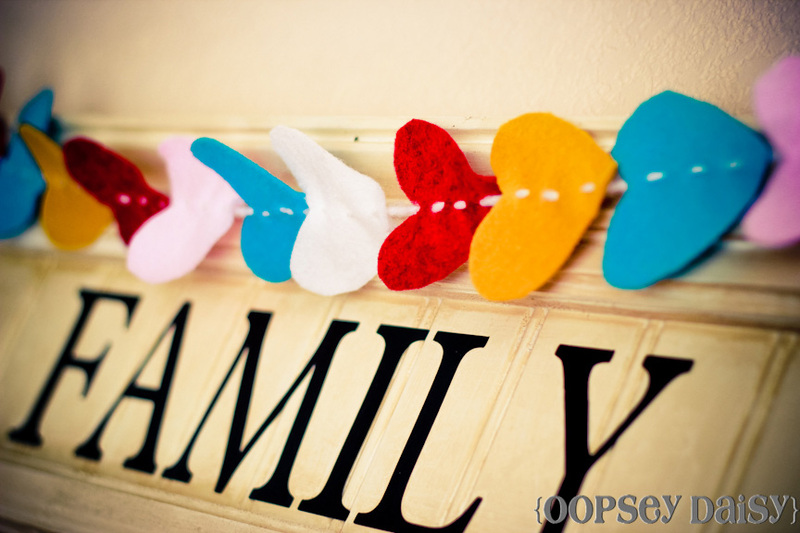 We are closing in with only 35 days to go until the big day filled with hearts, dinner, champagne, and stuffed animals. 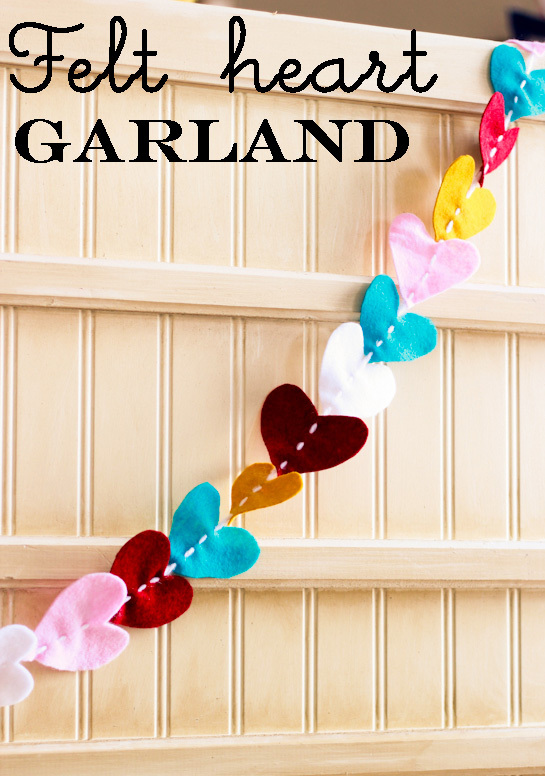 Speaking of hearts - this felt heart garland couldn't be any sweeter. 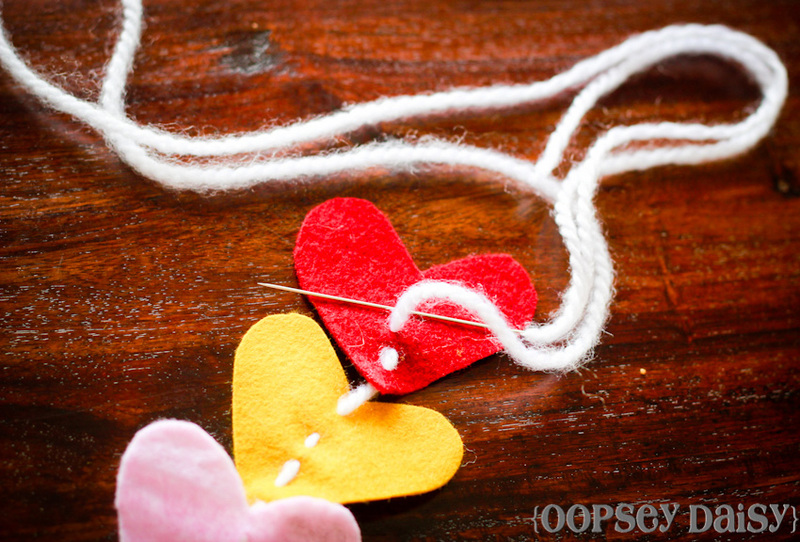 You can make your own with some scraps on hand! I started with the felt. 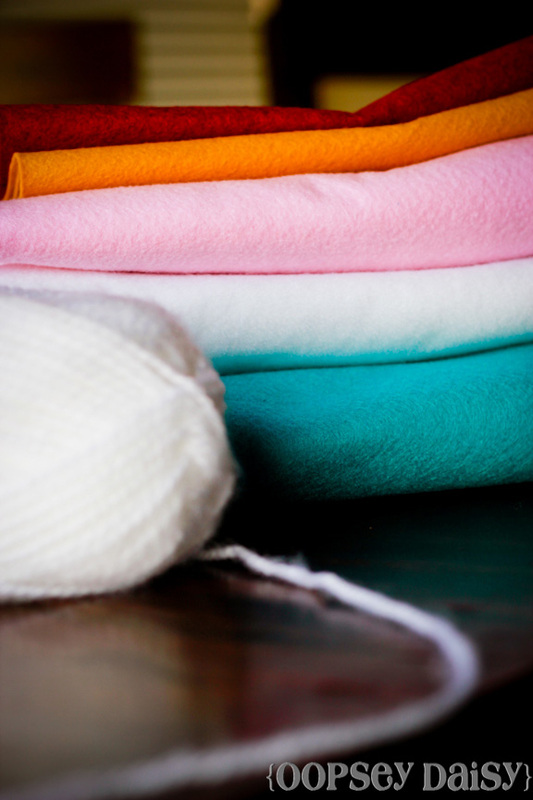 I secretly wanted to use all wool felt, but my frugal conscience got the best of me. So I purchased the red and mustard wool felt, and I had the other colors on hand. I LOVE the color scheme! The mustard and turquoise were fun and unexpected pops of color. 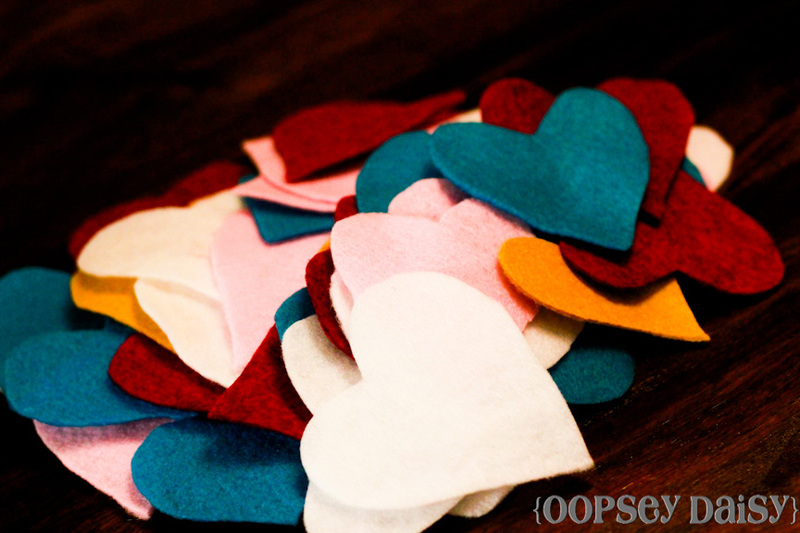 Then I sat down and just started cutting out a whole lot of hearts! 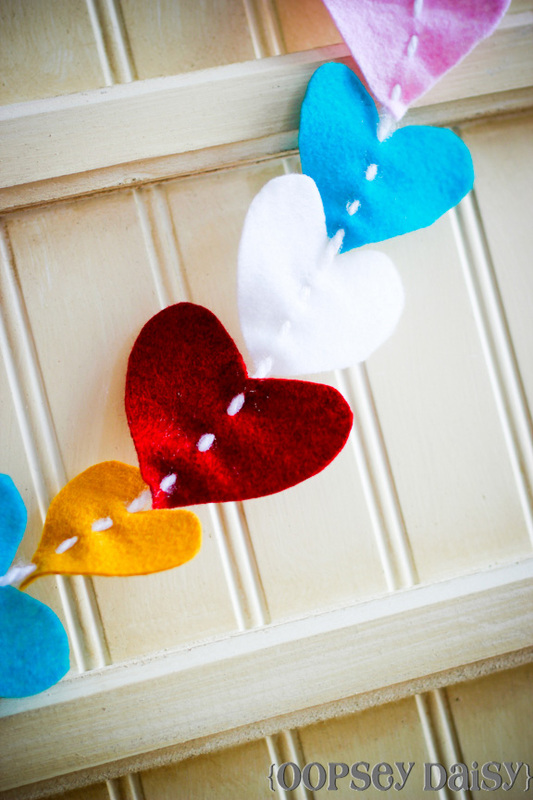 I didn't use a pattern--just used the old traditional method of folding the fabric over to achieve a symmetrical heart. 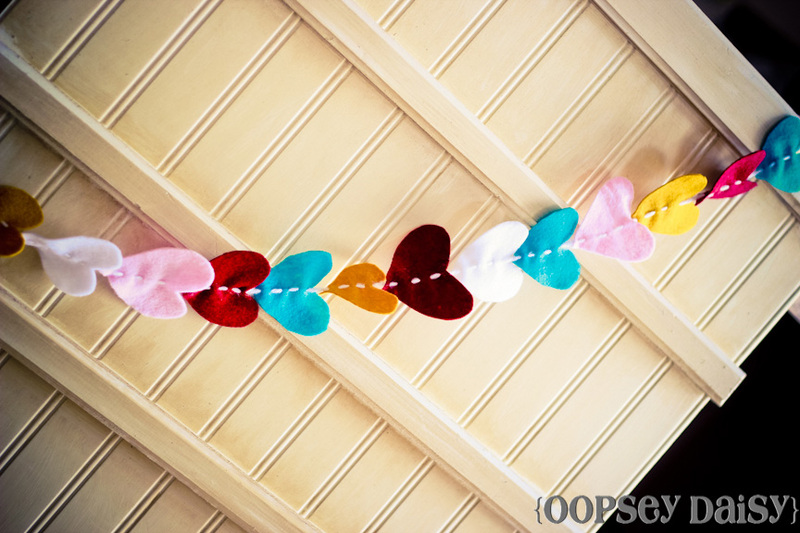 I think I cut out about 90 hearts total. It was 12:30 AM, and I couldn't thread the yearn through the needle for the life of me. 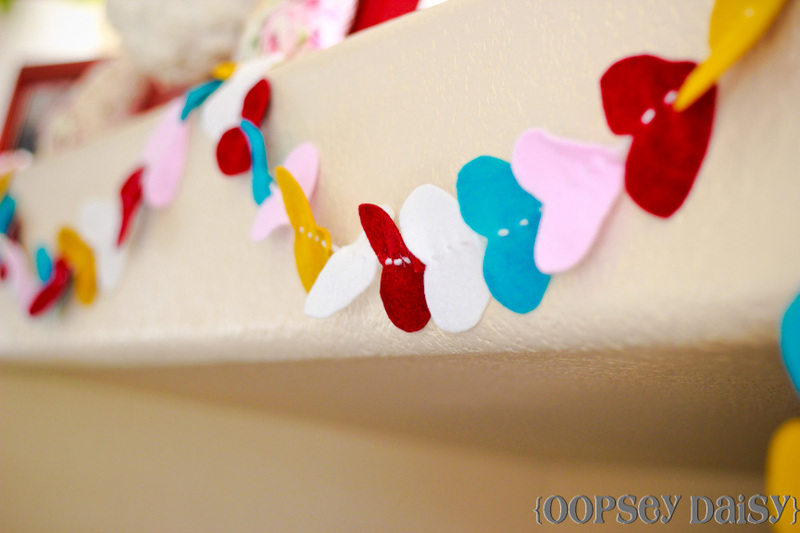 Finally I tried this trick of taping the end with masking tape. Duh! It worked perfectly. 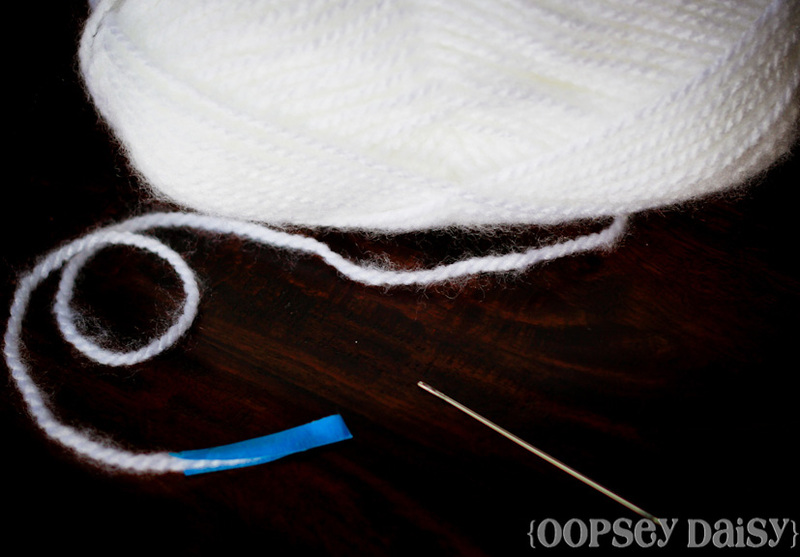 I knotted the end of the yarn to prevent fraying and then started stitching! I wanted to be unpredictable, so I didn't repeat the colors in any certain pattern. Crazy, I know!! I just knotted the very end of the yarn, and started draping!